The first one in the list will be the default. You can re-order these by clicking and dragging using the "hamburger" (three lines) on the far right. 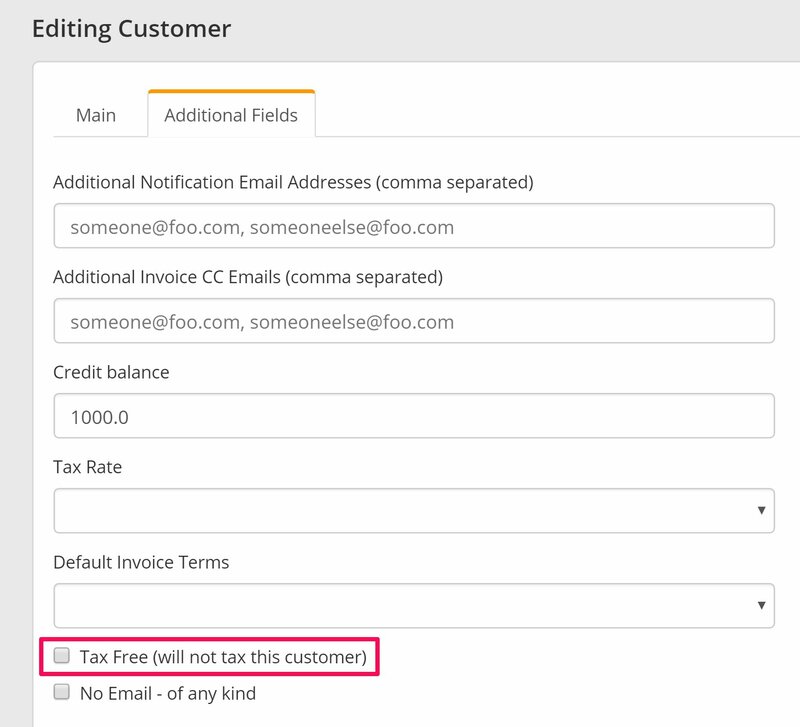 Scroll down and you can check the 'Tax Free' check box. Remember to click the green 'Update Customer' button to save the changes. The customer will now be tax exempt on transactions.